The Goon Sax are James Harrison, Louis Forster and Riley Jones from Brisbane, Australia. 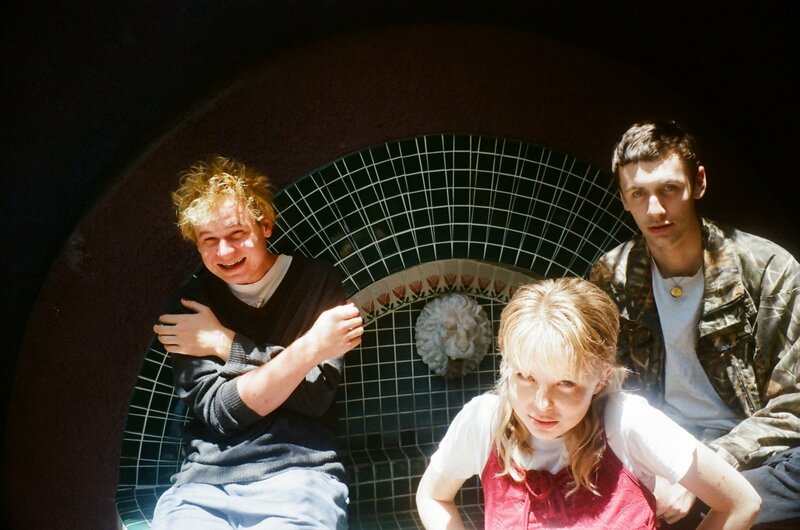 Still in high school when they made their first album Up To Anything in 2016, they made the end of year lists for BBC 6Music, Billboard and Rough Trade, and earned them raves from the Guardian, Pitchfork, Spin, Uncut, Rolling Stone and elsewhere. According to Metacritic, Up To Anything was the 8th best-reviewed debut album anywhere in the world in 2016. New album We’re Not Talking shows how much can change between the ages of 17 and 19. It’s a record that takes the enthusiasms of youth and twists them into darker, more sophisticated shapes. Relationships are now laced with hesitation, remorse, misunderstanding and ultimately compassion. Drummer Riley Jones really comes to the fore here, joining Louis and James in singing lead and writing songs for the first time, making the band the musical equivalent of an equilateral triangle (the strongest shape in physics). Delivering brilliantly human and brutally honest vignettes of adolescent angst, The Goon Sax brim with personality, charm and heart-wrenching honesty. We’re Not Talking is a record made by restless artists, defying expectations as if hardly noticing, and its complexity makes We’re Not Talking even more of a marvel.